Cars, like any other vehicles, face some mechanical failures in the course of service. The underlying problems could hinder the optimal operation of your car or alter the whole system rendering it functionless. 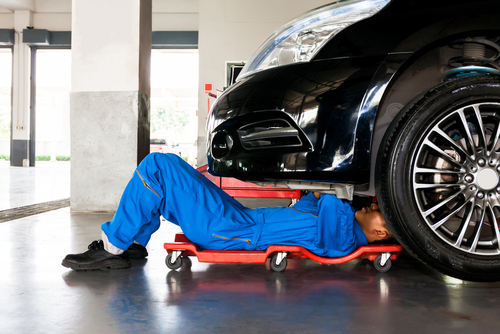 Some vehicle breakdowns are easy to repair while other requires third party assistance. Knowing the damaged parts of the car or even the causes of the breakdown is a great step towards fixing your car’s common problems. 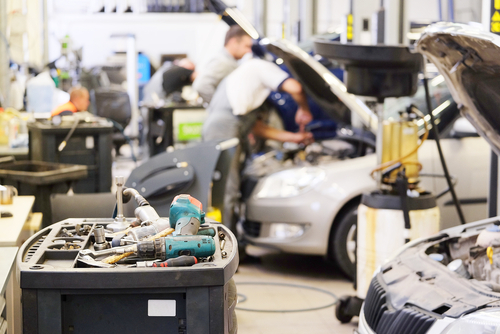 From the obvious mechanical failures to the complex operational failures; it’s important for any car owner to be aware of some of the contemporary car repair tips. The most common car problems range from a; dead car-battery, poor quality/ choice of fuel, oil leakages, unbalanced fuel pressures, faulty electrical circuits & wiring, missing caps to fuel pump problems. All these happens for a number of reasons, it’s, therefore, important to be aware of the various car malfunctioning and has their possible causes and solutions at your fingertips. You don’t need to go through an automobile mechanical class to fix most of these problems; read on to get you started. With little or no skills on your car’s operational principles, you still can manage to do some perfect repairs. All you need is a basic knowledge of the contemporary repair procedures, a set of tools, your damaged car and a willing heart, ready to fix the mess. Here is a detailed list on some of the common car troubles and how you can sort them out. • You can easily note this problem; the car will either take long to start or won’t even start at all. Among the causes of engine failure include a flat or damaged battery. To prevent your batteries from running out of power, you need to turn off all the lights when they aren’t in use. You should also check the acid level and the power reading on a regular basis. • Another hint is to check the sound from your car once you turn on the key. If the car is completely silent, then the problem could be due to battery connections on the terminal cables. If it cranks over with a fail, then the spark plugs could be faulty or the fuel supply to the engine is inefficient. To fix this and prevent it before you get to the road, try to jumpstart your car back at home. • If the needle on the engine temperature gauge is out of the roof or you notice a smoke/steam out of the bonnet; your engine is definitely overheating. This is caused by a number of factors from insufficient coolant to a faulty radiator fan. • Faulty hose pipes and leakages cause depletion of the coolant and you need to check on this on a daily basis. You should also check the fan thermostat and the motor connection to avoid inconveniences. • It can be difficult to notice this, but you can feel it as a driver. Uneven wear of the tyres poses a great danger due to the reduced grip on the ground. 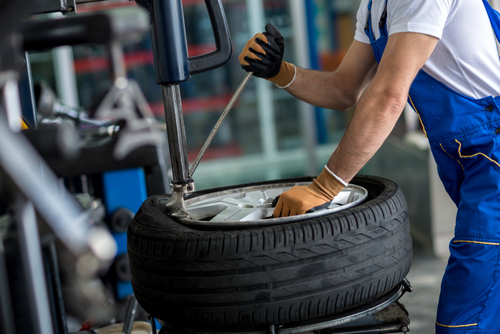 You can also do a quick and thorough check if there is any part of the tyre that is worn out unevenly. To do this, you need to have your floor jack/ bottle jack with you for easy lifting. Presence of bald spots, dips or dents on the inside or outsides of the tyres are enough for a replacement. • To prevent this uneven wearing, it’s vital to have your tyres rotated on a regular basis ( at every oil change) depending on the make of the car. This is done to make the tyres wear more evenly. Checking on the alignment and balance of the tyres is another way of preventing the uneven wearing. Make sure you travel with a spare tyre, just in case things get worse in the middle of your journey. • You are not always guaranteed that your air conditioning will be working properly. If the air being blown out is at the ordinary room-temperature; you need to fix this by yourself. The most obvious cause is that of insufficient refrigerant left within the system. Be keen to check for any leaks and fix them before replacing the refrigerant. All you need to do is to get another set of air con gauges and do the refilling. • A faulty exhaust will always smell strange or give off a brown/ sooty black smoke. This is mostly caused by rust and all you need to do; is seek for early maintenance practices or an exhaust replacement if possible. • Loose brake pads, worn out pads or the presence of brake dust inside the drum causes the wrecking noise every time you come to a halt. You can fix the brake pads if you’ve got some skills but for the brake dust; it’s advisable to leave it to the professionals since they are dangerous if inhaled. • Before you start the repair task, make sure you are in your protective clothing; heavy duty overall, boots, headgears and cloves. If you are to do some screw loosening and tightening, be keen enough to mark the right screw sizes for every compatible part while using the right tool. In case things get complex while on the process of doing the repair, do yourself a favor of getting additional and useful information from friends, experts or even the internet. The manufacturers or part store’s manual will also be very resourceful. • You should also keep the records on some of the scheduled maintenance done to avoid complications in case of further repairs or when dealing with the warranty provider. Once you have diagnosed the existing problem, seek for the probable causes then brainstorm for solutions. Assemble the right tools and prepare your working area to make sure it’s clean and free from unnecessary interruptions. If there are some instructions to be followed, make sure you do it to the latter. Take pictures while doing the repairs on some of the technical parts, where necessary.